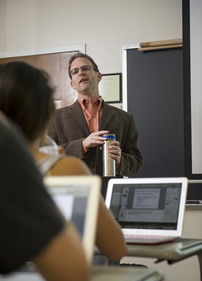 Jarrod Tanny is Associate Professor of History and the Charles and Hannah Block Distinguished Scholar in Jewish History at the University of North Carolina Wilmington. Between 2008 and 2010 he was the Schusterman post-Doctoral Fellow in Jewish Studies at Ohio University. He received his Ph.D. from the University of California at Berkeley, focusing on Russian and Jewish history. Originally from Montreal, Canada, he completed an M.A. at the University of Toronto and a B.A. at McGill University. His monograph, City of Rogues and Schnorrers (Indiana University Press, 2011), examines how the city of Odessa was mythologized as a Jewish city of sin, celebrated and vilified for its Jewish gangsters, pimps, bawdy musicians, and comedians. In 2012, Dr. Tanny published an essay called "Between the Borscht Belt and the Bible Belt: Crafting Southern Jewishness through Chutzpah and Humor," in the journal Southern Jewish History. He is currently working on a larger study on Jewish humor in post-World War II America and its place within the larger context of the European Jewish past. "Decoding Seinfeld's Jewishness," Studies in Contemporary Jewry 29, Punch Lines: Humor in Modern Jewish Life (Forthcoming, 2016). "The Anti-Gospel of Lenny, Larry, and Sarah: Jewish Humor and the Desecration of Christendom," American Jewish History (Forthcoming, April 2015).